The Primary Relief™ Percutaneous electrical nerve stimulator (PENS) is designed to administer auricular neurostimulation treatment over several days. The ear provides numerous points for stimulation within a small area. Stimulation is performed by electrical pulses emitted through strategically positioned needles. The ANSiscope device monitors the pain condition of the patient before, during and after the treatment. The Primary Relief™ neurostimulation therapy is mainly used to treat pain. 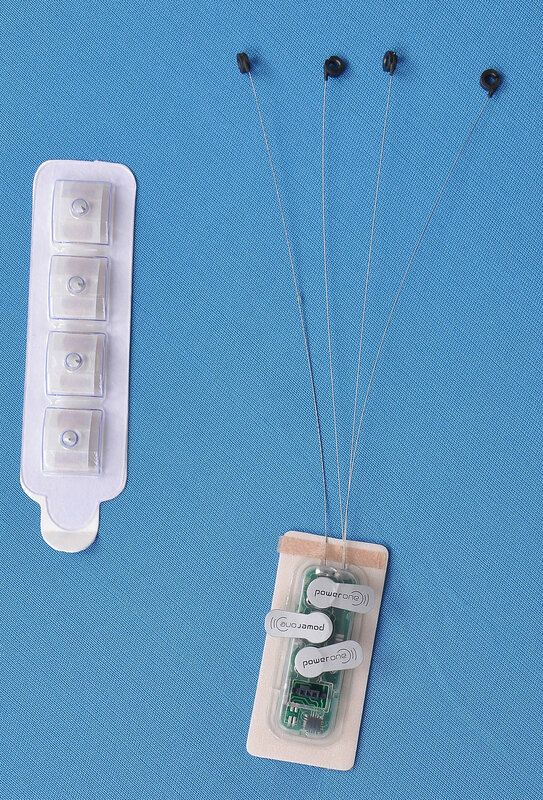 Use of the device is recommended for pre-operative, intra-operative and post-operative pain therapy as well as for the treatment of chronic pain. Primary Relief™ therapy allows continuous neurostimulation over a period of several days while offering the patient a high degree of comfort and mobility. Use of the Primary Relief® therapy provides advantages over drug therapy by minimizing possible side-effects caused by pain medications (i.e. opioid). In most cases, the patient continues to lead a normal life without side effects or any loss of quality of life. Primary Relief™ devices come packaged 10 to a box.